Yes friends… it’s true. 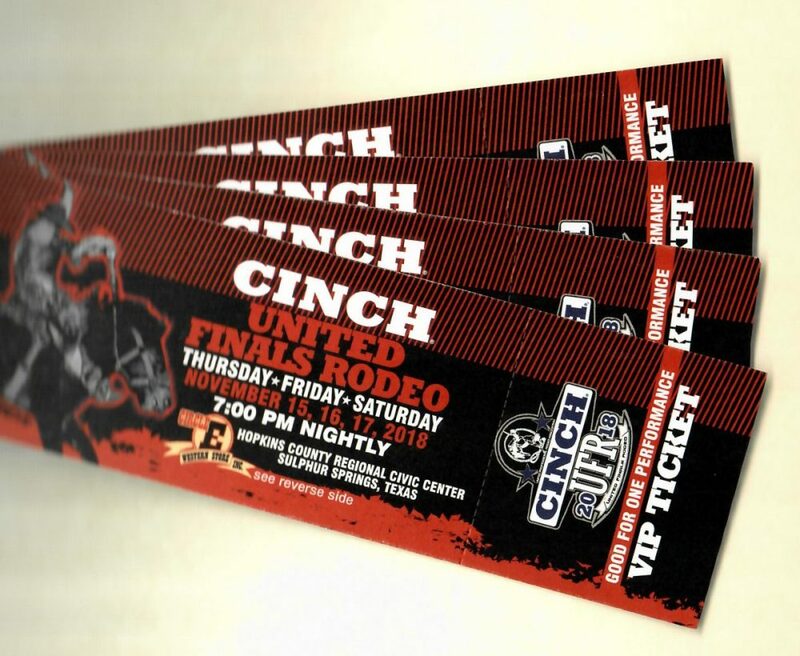 KSST is giving away 4 tickets to the Cinch United Finals Rodeo coming to Sulphur Springs November 15th, 16th, and 17th. To enter, comment on this post, and make sure you ‘Like’ our Facebook page. The tickets are good for any date. The winners will be announced on and contacted via Facebook. Tickets can be picked up at the KSST Studios, 717 Shannon Rd during regular business hours (8 – 5, M – F).